"Super Casino". Two words to describe what Aspers Westfield Stratford City is all about. This exciting new development has set a new benchmark for casinos in the UK and is the first ever "large" casino license in the country. The impressive 65,000 sq ft venue is impressive both in design and layout. Here visitors will get a full casino experience, not unlike what you might expect when you cross the pond and hit Las Vegas. 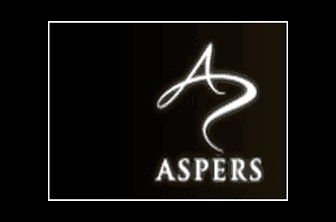 The "large" casino license was only introduced a few years ago and Aspers jumped on the opportunity to be groundbreaking on the UK casino scene. The casino is located close to Stratford's domestic and international transport. If you are not that educated on London geography we will give you a quick lesson: Stratford is in the far eastern parts of London, reachable by London Overground. Despite the fact that it is a unique casino in many aspects it still operates an open door policy where anyone over 18 can come and gamble. To make it all even more exciting and attractive they have opening hours of 24 hours a day, seven days a week. Aspers Westfield not only boasts an excellent gambling venue, they offer everything from fine dining to exciting drinks at the bar. Combine that with events, tournaments and sports you will find what is probably the most complete gambling venue in the London and the United Kingdom.